Fermented chicken feed is gaining popularity, and it’s something I like to incorporate on our homestead. Why bother fermenting chicken feed? It’s not for everyone, and I certainly have readers that are shy about fermenting anything. It’s understandable, but chicken feed is especially easy to ferment correctly. Although you might be a little wary (I was once too! ), if you ferment for only a brief period of time, you’re more likely to help your hens than harm them. Obviously, when it comes to chickens, providing clean, fresh food – free of mold – is necessary. Particularly if you allow your chickens to free range, they will go after some gnarly food we wouldn’t dream of touching. Feed you’ve fermented for 48 hours is much more beneficial than that old piece of something unidentifiable that they’re now cooing and clucking over. 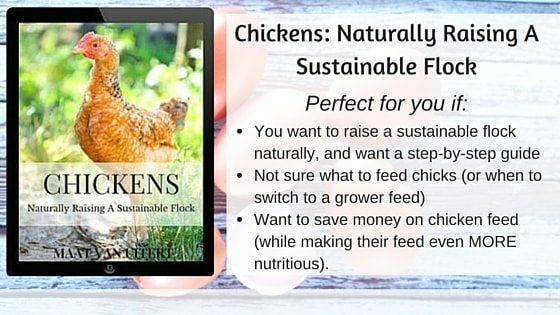 That being said, how can you get started fermenting chicken feed? Organic, not organic, homemade or store bought, the method to ferment your chicken feed is the same. Simply create a daily ration as normal, but instead of feeding it right away, submerge it under water in a clean bucket for 24 to 48 hours. Cover the bucket with a cloth or a top in order to keep unwanted stuff out. After 24-48 hours, you’ll notice the feed has changed in consistency (what it actually looks like will vary depending on what you’re fermenting). You might notice a film on top or some cloudy looking material in the bucket – as long as it smells and looks okay, that’s the good bacteria doing it’s job. With anything fermenting, let your nose and eyes be your guide – if it looks or smells rotten, or if you see black mold, dump it. It’s not worth the risk. White or cloudy material should be okay. If you’re just starting out and not sure about fermented chicken feed, 24 hours might work for you, but feed fermented for 48 hours will yield better results, according to studies. 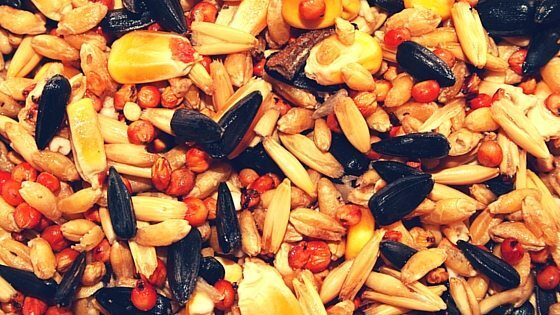 If you use my organic homemade chicken feed recipe, you can even ferment the seeds for 48 hours before feeding them – the fodder seeds will still sprout under water. Fermented feed has been proven to more beneficial than dry feed in several studies performed on laying hens. As the water creates an anaerobic (without oxygen) environment, beneficial bacteria will start to break down the feed. As this natural process occurs, it maximizes the nutritional content, making the nutrients more bioavailable, and increases the amount of good bacteria, such as Lactobacilli. This is the same stuff you see in probiotics for pretty much any species, from humans to chickens to horses. 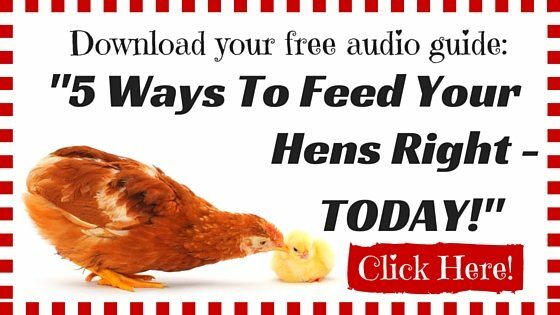 A study performed by Ghent University in Belgium found that chicks fed a ration fermented for 48 hours were healthier than chickens that were fed a normal dry ration. In addition, the chickens fed fermented feed were healthier, required less feed, and were more efficient with their feed. In other words, they were healthier and larger, all while needing less to eat. Pretty nifty, huh? A second study performed in Denmark in 2009 showed that laying hens fed fermented chicken feed not only performed better and required less feed, but they showed signs of increased intestinal health. The study performed in Denmark also noticed that because the fermented feed was wet, it caused some behavioral issues. They saw hens becoming more aggressive, losing interest in their food, and laying later (although it didn’t effect the total amount of eggs laid). The first thing to remember is these were hens were not a backyard flock, and were in a different environment than homestead chickens. 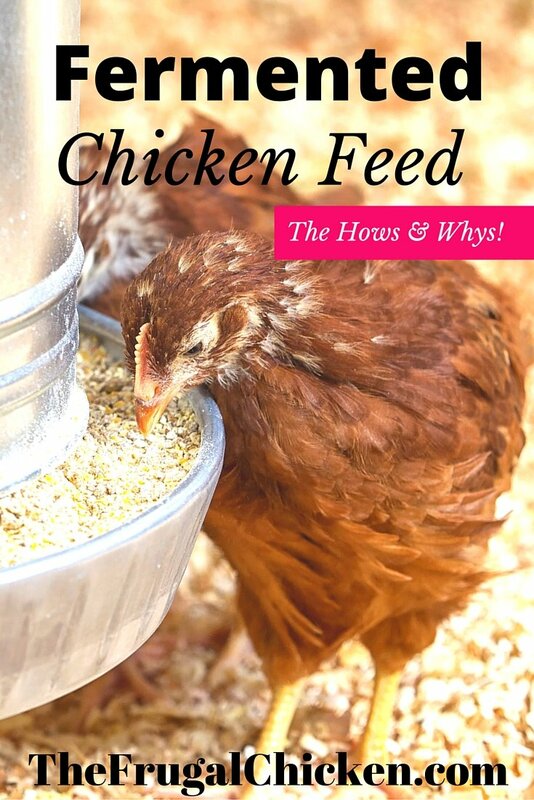 There is much less competition between backyard hens when it comes to feed, especially if you provide multiple feed stations. While I personally have noticed my hens occasionally will lose interested in their fermented feed, I’ve not noticed them acting any different. In addition, the researchers concluded the aggressiveness was tied to the consistency of the wet food, rather than the probiotics. Fermented feed can get mushy, especially if you use grain. In addition, chickens can be messy eaters, and might toss their feed everywhere – and mushy feed gets ground into dirt much easier. One way to avoid this is incorporating other goodies into the feed, such as meal worms or table scraps, or even dry feed to provide texture if you find your flock avoiding their fermented feed. Do you think you’ll use fermented chicken feed? If not, why? Email me or leave a comment below! Missotten JA1, Michiels J, Dierick N, Ovyn A, Akbarian A, De Smet S. “Effect of fermented moist feed on performance, gut bacteria and gut histo-morphology in broilers.” British Poultry Science, 2013;54(5):627-34. doi: 10.1080/00071668.2013.811718. Epub 2013 Aug 8. PubMed. Engberg RM1, Hammershøj M, Johansen NF, Abousekken MS, Steenfeldt S, Jensen BB. “Fermented feed for laying hens: effects on egg production, egg quality, plumage condition and composition and activity of the intestinal microflora.” British Poultry Science. 2009 Mar;50(2):228-39. doi: 10.1080/00071660902736722. I’ve been fermenting feed since my hens (and now also roos!) were little bitty chicks; however, it doesn’t ferment that long : / my first batch was started with juice from fermented veggies (stopped using this one), then my second batch was started with a pack of Caldwell’s. wonder if I should start another jar and stagger them. I mix it probably half and half with dry food twice a day. I do know their egg yolks are a glorious deep golden color and I get a lot of compliments on how great my chickens look…..
Would fermenting feed be good for meat chickens also? We are thinking of getting some next year for the first time and our first farm animal so starting to research and figure stuff out. Hi Robyn – Yes, it would be great for meat chickens. Studies done on broilers fed fermented feed showed they grew larger on less feed and it reduced the pathogens in their guts (meaning healthier birds and better meat.) What breeds were you thinking of getting? What kind of feeder do you use? I’m assuming an automatic style would not work with this consistency of food. We are getting our first laying hens in the soing, so excited! I’d love to start to chick off with fermented feed. Hi Karen, for older chickens, I like to put it into a bowl. It can get kind of wet, so a bowl makes sure they can still eat it without it getting mushed into the ground. For chicks, a plastic chick feeder would work well. They’ll have a harder time pooping in it. i mix half fermented and half dry in a pan; then i divide it between their feed bowls. Great idea, especially if they object to the texture. they don’t seem to object to the texture; i’ve been doing it since they were chicks, but…..i don’t feed them pellets. i use a big mason jar with a fermenting lid and i don’t really have a place to keep two or three of them going, so it stretches the fermented feed. i’d love to do full fermented feed; do you do yours in a bucket? Yep, I use a 5 gallon bucket because we have so many chickens. I just make sure it’s always kept below the water line. I live in UK and have 2 freerange chooks. Besides layers mash, have always fed fermented stuff and they love it. Chopped apple, grated carrots, raisins, groats, mixed corn, sweetcorn, peppers, a large slop of Apple Cider Vinegar. If I have any, mealworms. Chop it all up and chuck it in. Add water, swill, cover. Shake it up a bit. Next day it’s beginning to bubble. Smells like clean vinegar. Dish out a couple of tablespoonfuls. Allow to drain. Present to diners. Morning and evening. They’d kill for it. They pick it, flip it, spread it around a bit, but it all gets eaten eventually. Keeps the gut clean, chooks occupied, strong shells, happy girls. Top up same jar when it gets low. My current jar has been in use 2 months. Soon, will run it low and begin a new one. For small flock, easy peasy. Large flocks, industrial scale required.